SAP S/4HANA 1610 was recently released and to help customers as well as prospects and partners to fully understand the new features, we invite you to join the latest openSAP course, Find Your Path to SAP S/4HANA. 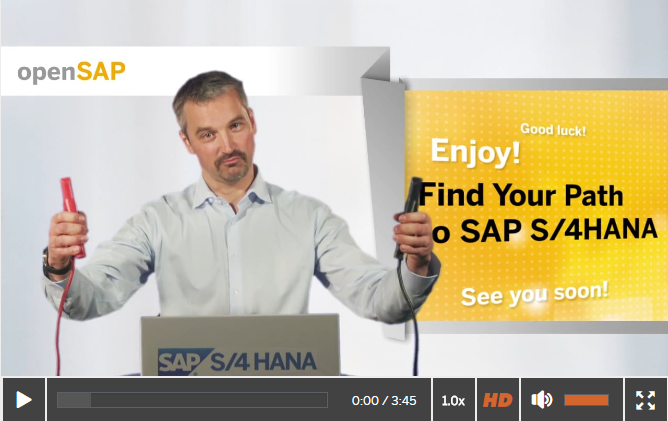 During Find Your Path to SAP S/4HANA you will have access to an SAP S/4HANA system to gain hands-on experience during the course. The course starts January 25 and enrollment is now open. All you need to sign up is a valid email address. Learning content and Record of Achievement are provided completely free of charge during the live course run. Thanks for the posting. I enrolled this course. Looking forward to it.